Dalmore Guest Farm is an intimate family friendly destination offering beautifully decorated en suite B&B and self catering accommodation. 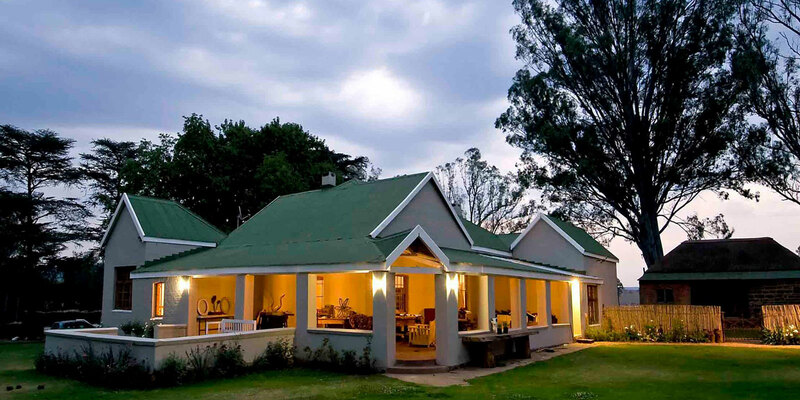 Separate from all the accommodation, the majestic original farm house, built in 1913 and recently restored to its former glory, hosts meals and afternoon teas. Bordering on the Spioenkop Dam and Nature Reserve, the farm, home to a great variety of bird life, offers many activities for guests to enjoy. Paddling, fishing, sailing, hiking, superb mountain biking or simply picnicking in the shadows of the willow trees is a great way to spend your day. We are pprivileged to be a part of the awesome Berg and Bush Mountain Bike Race and as such, have some truly spectacular routes available.